Snippets of Jack: "How Can I Trust You?" 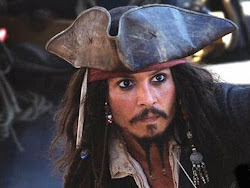 As we all know, Elizabeth secretly kissed/killed Captain Jack Sparrow leading him to be taken to the locker of Davy Jones. Well, the trick is on her because she ends up sailing to the end of the world just to save the person she recently killed. And the funny thing is, not only does she have to sail there, but she wastes the whole crew's time. Think about it, if she hadn't sent him to kraken in the first place, what would have happened? Well, I think you get the message. Elizabeth:" I'm not sorry." Selfish much. What's even worse is she keeps her secret from her fiance, Will Turner. It gets a little awkward when Jack reveals their little fiasco. Of course, Will doesn't really appriciate the love of his life going out and smooching with other men. For example: James Norrington who had thought that he were special to her. A few moments after Elizabeth and James's kiss Admiral Norrington is stabbed by non other than Boot Strap Bill, father of Will Turner her fiance. He must not like all this betrayal on his son. James Norrington: "Our destinies have been entwined Elizabeth, but never joined." Not to mention her little episode with Pirate Lord Sao Feng who apparently was totally certain that Elizabeth was the sea goddess, Calypso, bound in human form by the first brethren court. Seconds after kissing her a cannon is shot right into the ship, blow him up and just barely missing Elizabeth. Weird how every man she kisses is killed momentarily. Suspicious. 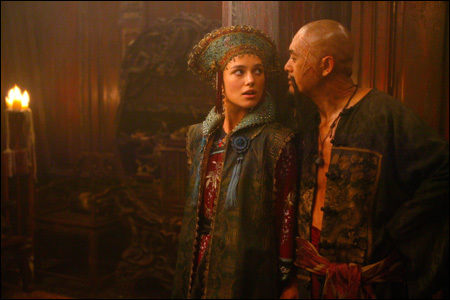 Sao Feng: "With all nine Pieces of Eight, you will be free. Take it! You are captain now." As you can assume, Will isn't a big fan of all these secret encounters. Will: "You left Jack to the kraken." Elizabeth: "He's rescued now, it's done with." Will: "You chose not to tell me." Elizabeth: "I couldn't. It wasn't your burden to bear." Will: "But I did bear it, didn't I? I just didn't know what it was. I thought..." Elizabeth: "You thought I loved him." Well, he did see you kissing and you kept pouting once he was gone. Then, for some reason, she gets mad at him and tries to storm away dramatically. Upset, Will blocks her way. Will: "If you make your choices alone... how can I trust you?" Elizabeth: "You can't." She then pushes through him and storms away. Towards the end of the movie after just getting married to Elizabeth (involving more kissing). Will is stabbed by Davy Jones himself. Coincidence, I think NOT! I love this post and your entire blog! Thank you for making such a wonderful place! Aww thank you! We love to do it!